Run for a Cure Africa (RFCA) is a non-profit organisation focusing on the eradication of breast cancer. Comprised of a group of women that have somehow been affected by breast cancer, RFCA wishes to lessen the impact of this disease on other women of the community. Small World funds will go towards purchasing a Medical Microscope and an additional Portable Ultrasound. Run for a Cure Africa would like to start providing biopsies at their Mass Screening Programs. 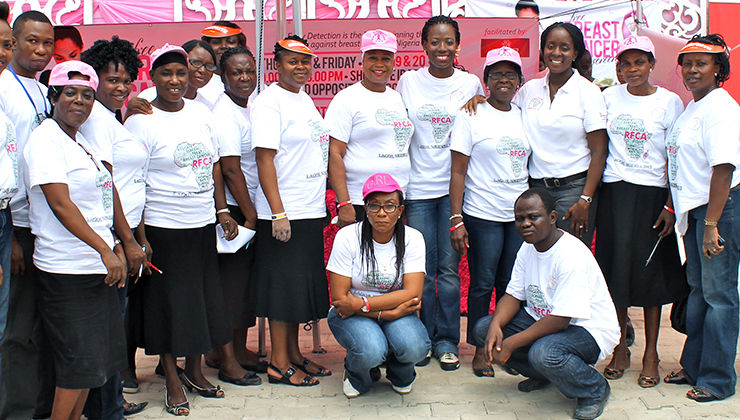 Today when a lump is found, the Mass Screening Program must tell the women to come into the Breast Cancer Clinic at LUTH, or to a nearby clinic. An estimated 2,300 under-served women from the community will directly benefit anually from this service.